Even if this kind of necklace was the hottest trend in 2011 and 2012 , that does not mean it won't remain a must have for fashion lovers!. 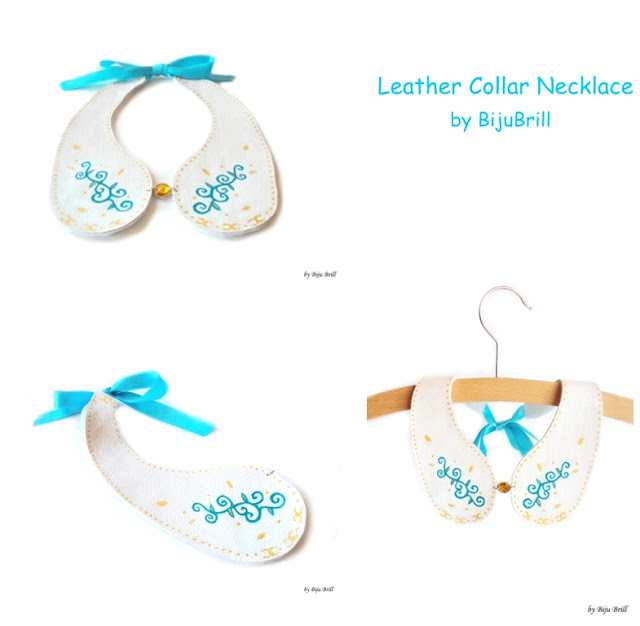 So I created a romantic version of the Peter Pan collar, made of leather, which I decorated with hand-painted floral motifs. In the middle, I mounted a yellow Swarovski crystal that I coated with leather. The collar closes at the back with a blue satin cord. Available HERE.